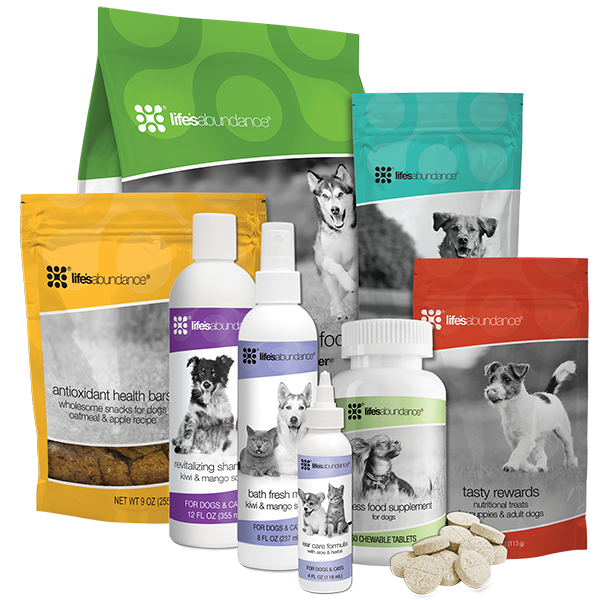 Get your dog off to a great start with a Healthy Start Pack. Each Pack contains an 8 lb. bag of Life’s Abundance All Life Stage Dog Food, a 30-tablet bottle of Life's Abundance Wellness Food Supplement, a 9-ounce bag of Antioxidant Health Bars, a 4-ounce bag of Tasty Rewards Training Treats, 6 6-inch Buffalo Bully Sticks, a 4-ounce bottle of Ear Care Formula, a 12-ounce bottle of Revitalizing Shampoo and an 8-ounce spray bottle of Bath Fresh Mist. 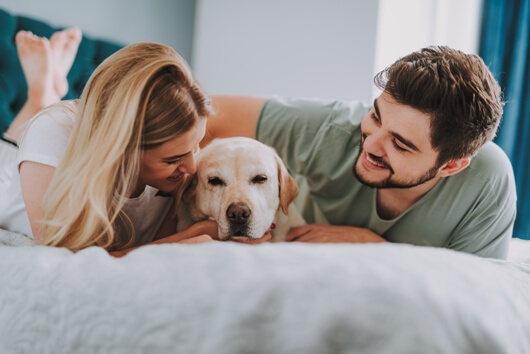 Get your dog off to a great start with a Healthy Start Pack. Each Pack contains an 20 lb. bag of Life’s Abundance All Life Stage Dog Food, a 60-tablet bottle of Life's Abundance Wellness Food Supplement, a 18-ounce bag of Antioxidant Health Bars, a 4-ounce bag of Tasty Rewards Training Treats, 6 6-inch Buffalo Bully Sticks, a 4-ounce bottle of Ear Care Formula, a 12-ounce bottle of Revitalizing Shampoo and an 8-ounce spray bottle of Bath Fresh Mist. LOVED this starter pack for my puppy! This is definitely a Bang for the Buck! Best start you can give your new dog or puppy! Great variety of products assuring only t he best for your pet! BEST FOOD CHOICE IVE EVER MADE FOR MY DOGS ! I breed Miniature Labradoodles and send a Healthy Start Package along with each of my puppies. The families really appreciate the high quality products.